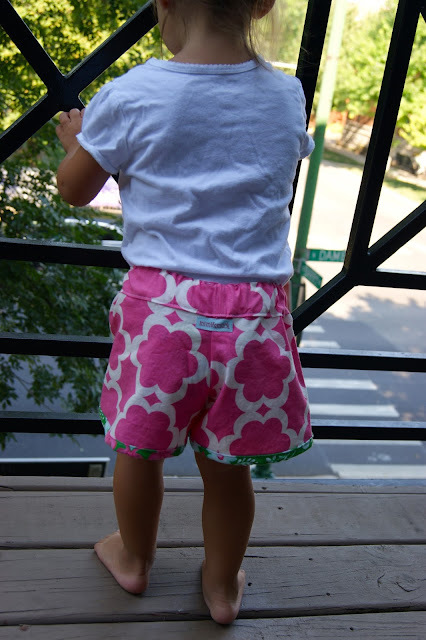 mimi & mack: Lucy Shorts!!! I thought I loved the Blue Skies racer back dress the most, but . . . I can't get enough of these shorts!! I have been searching for the perfect "camp short" for Mimi -- not too cutesy and not too casual with plenty of room to romp -- and I think I found the perfect ones. 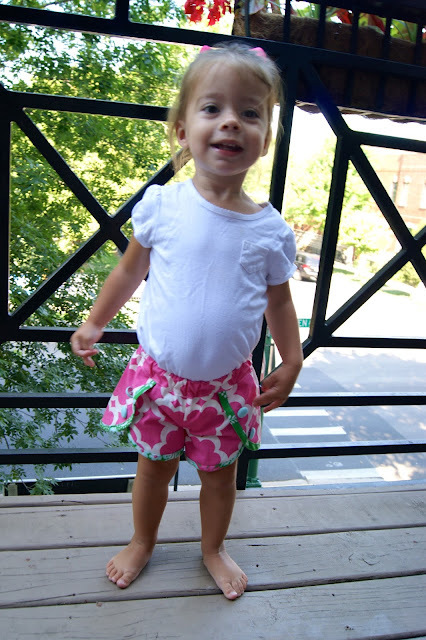 I saw similar shorts in an Anthropologie catalog in the spring, then Crewcuts had a pair edged with ruffles, and then my search for a pattern was on (sewing mommas, skip down to the bottom for links to this pattern and similar ones). The shorts are $30 (plus $3 shipping) and sizes are posted above each pic. E-mail orders to mimiandmack@yahoo.com only!! No FB messages. Whew, please excuse the unfinished ones that still need elastic and buttons!! Oliver + S Picnic Blouse + Shorts. Meeny Miny Moe (link to the right) had some similar ones last summer that I was in love with! The blouse pattern is also pretty adorable. Cali Faye Collection Tulip Shorts. And this was the pattern I used. This is the same chick who wrote the racer back pattern, so she is on my favorites list! 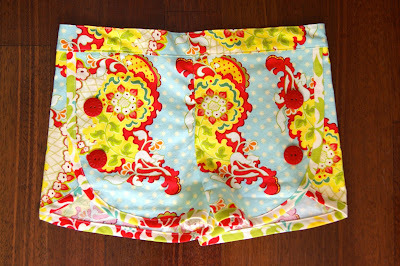 Her patterns are simple and perfect for beginners such as myself. The pattern is actually for reversible shorts without the binding, but I changed it up a little. Gorgeous shorts! Do you think the pattern can be altered for a size 1 ?